Now You Can Win Scrabble With the Word "Grrl"
Next time you play Scrabble, grab the official Collins Dictionary so you can outmaneuver your friends with words like "webzine", "darknet" and "grrl". Be prepared, though, as those non-techies across from you may win with the dreaded "Facebook". 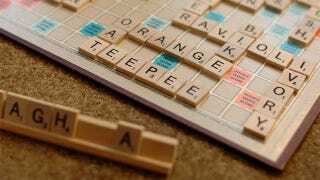 Tech-savvy Scrabble players should be happy as the editors of the Collins Dictionary for Scrabble recently added 3,000 new words which include a mix of slang, technical jargon and current colloquialisms. As expected, this change is getting mixed reactions with some Scrabble players welcoming the update and other bemoaning the declining state of the English language.